Most of us have some personal and secret photos and videos on our Android phone, which we don’t want to share with anyone or want to hide them from others. But on Android smart phone it not an easy task to hide all your dirty or personal images from you friend or family members, who mostly use your phone to download application or play some games. So, if you want to protect all your personal images from your friends, read our guide here. Today I’m going to show you how you can easily hide your photos and videos on your android smart phone with a pin lock. With the helps of Pin lock you can easily lock all your personal video and images in your android and no one will see your secret photos and video on your smartphone. 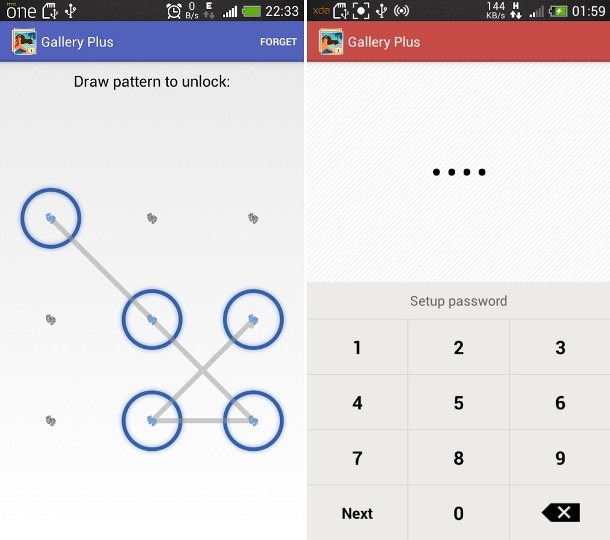 To lock down you images and videos, all you need free android application called “Gallery Plus – Hide Pictures”. All the application is free to download and available in the Google Play Store. With the helps of this lightweight app you can easily lock all your Embarrassing Photos and video in your android stock gallery. Once the application is installed on your android smart phone, run the application from your mobile and on the first screen it will ask you to enter a pattern password, then a secret question. Once the password protection is enabled on your smartphone, you are ready to hide all your Images and video from Gallery Plus application. 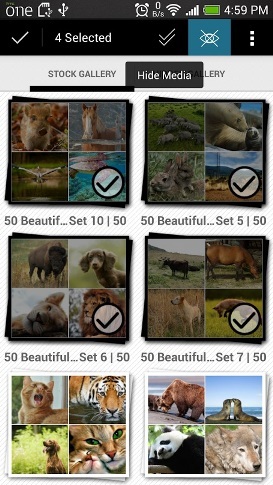 Open the gallery on your phone and select the images and videos which you want to lock or you can hold down on an entire folder. Not only this you can also hide the Gallery Plus icon from your Android app drawer. Go to the settings screen of the application and tap on the Security and then turn Hide icon app on. Now the Application application is not visible on your Android App drawer, to open the application again on your mobile just call *#*#123*#*# from your mobile phone application. Overall, the application is easy to use and one of the safest and easiest method to hide all secret images and video in one click with a patterns lock. Looking for more cool android application and tips, do check our Android section here.